Mean temperatures also exceed 30�C in August, September and October. The coldest months are January (21�C) and December (22�C). Rainfall is very variable. August is the wettest month (mean 43 litres/m2), followed by July (18 litres), September (14 litres) and October (7 litres). 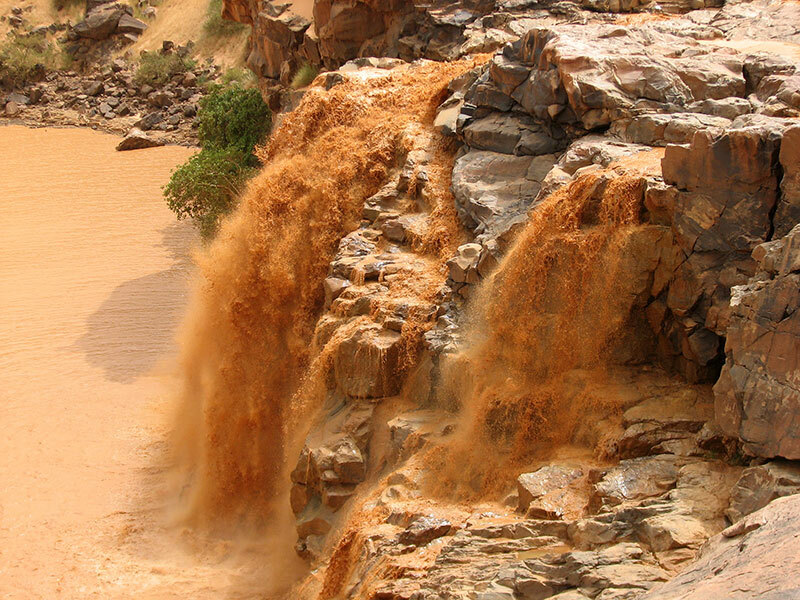 Flash flooding may occur in the wadis during this period, resulting in spectacular waterfalls. The other months are entirely dry.